Ranch Records is an analog place in a digital world, and you wouldn’t want it any other way. 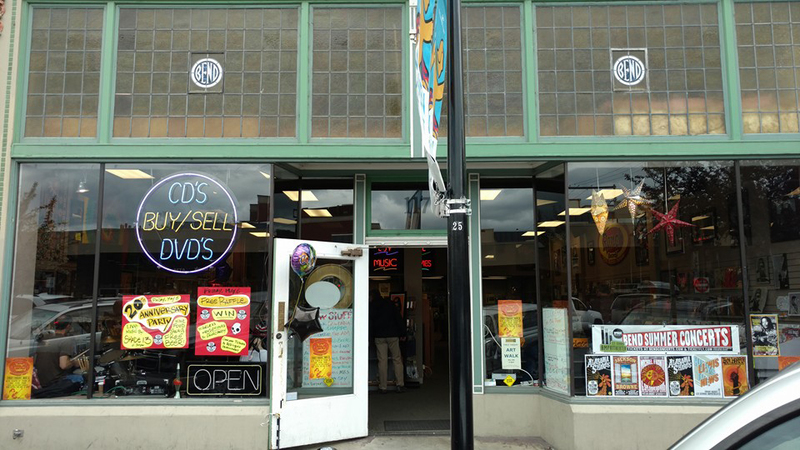 Bend’s premier record store, Ranch Records carries new and used CDs, vinyl, cassettes and DVDs. They also carry record store classics like tie-dyed and rock ‘n’ roll t-shirts, unique new and vintage posters and incense so it’s even got that retro smell. They also sell concert tickets (cash only) from the white board list of upcoming events in the front window, as well as other rock ‘n’ roll memorabilia. They are located in the very cool historic O’Kane Building on Oregon Ave and have been a part of the Bend downtown scene for decades. Reviews say they’re “very well organized” with a “rare selection of better quality record players and receivers”. To sample before purchasing, they have a listening station and offer guarantees on all their used merchandise so you know you won’t have to worry about scratches. And, like all the best record stores, their staff members know the best things going on in Bend.